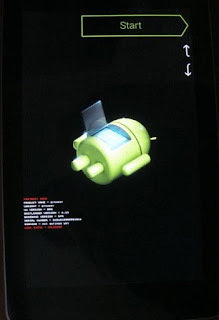 Home / How to Factory Reset Your Android Phone or Tablet When It Won’t Boot? 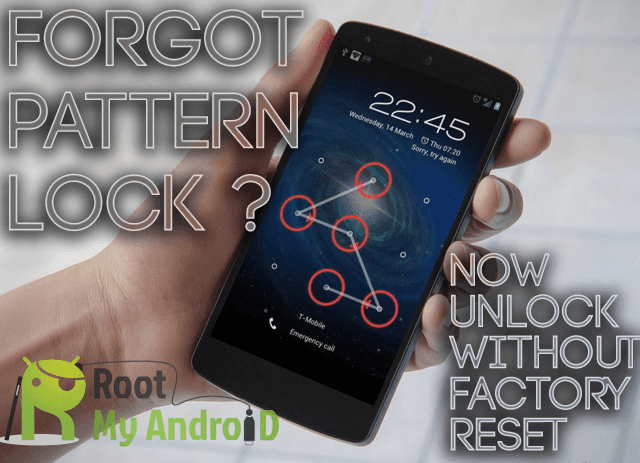 / How to Factory Reset Your Android Phone or Tablet When It Won’t Boot? How to Factory Reset Your Android Phone or Tablet When It Won’t Boot? by Sunil Jadhavar on March 05, 2017 in How to Factory Reset Your Android Phone or Tablet When It Won’t Boot? Safe mode can help you troubleshoot your Android, but sometimes you’ll need to wipe everything and restore your device to its factory state. But if you can’t perform a normal factory reset–say, if your phone won’t boot properly–you can do it through Android’s recovery environment. Ensure you have any important data backed up before doing a reset. This includes your Google Authenticator credentials, which will be lost during the reset. Disable two-factor authentication on your accounts first or you’ll experience some trouble afterwards. If safe mode doesn’t help fix your device, you can perform a hard reset by booting into a special recovery mode. First, ensure your device is fully shut down. Press and hold the correct keys to boot the device into recovery mode. This will vary from device to device. Similar devices will likely use similar key combinations. For example, the Nexus 4 also uses Volume Up + Volume Down + Power. If your device isn’t on this list and none of the above methods work, do a Google search for the name of your device and “recovery mode” – or look in the device’s manual or support pages. Release the buttons when the device powered on. You’ll see an image of an Android lying on its back with its chest open and its internals revealed. Press the Volume Up and Volume Down keys to scroll through the options until you see Recovery mode on the screen. Press the Power button to restart into recovery mode. You’ll soon see an Android with a red triangle. Hold down the Power button and tap Volume Up. You’ll see the Android system recovery menu appear at the top of your screen. Select wipe data / factory reset with the volume keys and tap the Power button to activate it. Select Yes – erase all user data with the volume buttons and tap Power. Your device will be reset to its factory state and all your data will be erased. If your device freezes at any point, hold down the Power button until it restarts. If the factory reset process doesn’t fix your problems – or doesn’t work at all – it’s likely that there’s a problem with your device’s hardware. If it’s still under warranty, you should have it fixed or replaced. How to Unlock ZTE Monte Carlo SmartPhone? How to Hard Rest Android ACER Iconia Smart S300? How to Unlock ZTE MF271A WiFi Hub Router? How to Unlock ZTE - G N281 Miami SmartPhone? How to Hard Rest Android ACER Iconia Tab A100? How to Unlock ZTE Z700A WiFi Router? How to Unlock ZTE MF275U WiFi Router? How to Unlock ZTE Z289L 4G WiFi Hotspot Router? 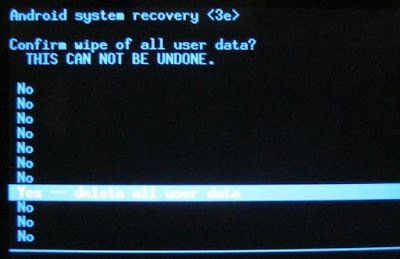 Tags # How to Factory Reset Your Android Phone or Tablet When It Won’t Boot? Labels: How to Factory Reset Your Android Phone or Tablet When It Won’t Boot?